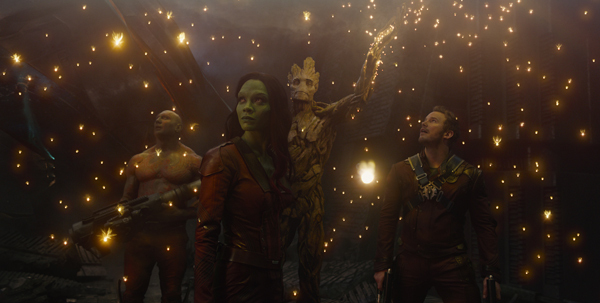 Marvel’s GUARDIANS OF THE GALAXY is easily one of the most anticipated movies of the summer. In fact, there’s been so much hype that a sequel was already announced before the film’s August 1st release date. While similar buzz surrounded 2012’s THE AVENGERS, that came as no surprise considering it was being led by the almighty Joss Whedon, and included a who’s-who of superhero favorites and box office destroyers, including: Iron Man, Thor, and Captain America. GUARDIANS, however, was mostly known only to loyal comic book devotees – until now, that is. I remember when my husband, a comic book enthusiast himself, first expressed his excitement about the film after it was announced at last year’s San Diego Comic Con. He told me about a misfit crew in space that included a gun-wielding raccoon and a talking tree. Admittedly, I was skeptical. A teaser for Guardians was featured at the end of THE AVENGERS’ credits, but probably only made sense to those aforementioned devotees. Fast forward to the 2013 D23 Expo where we saw the first real glimpse of the film and that was all it took. In just a few short minutes the entire audience was hooked, including myself. For almost a full year we’ve waited not-so-patiently for the release, but does it live up to the hype? Continue reading for our spoiler-free review of GUARDIANS OF THE GALAXY to find out. First, here’s a look at the trailer shown at the D23 Expo, which later premiered on Jimmy Kimmel, Live! Peter Quill (Chris Pratt), or “Star Lord” as he prefers to be called, is a human who seems perfectly content in his life as a space thief. The item he’s stealing on this particular day turns out to be valuable to several people aliens, including bad guys Ronan (Lee Pace), Thanos (Josh Brolin), and Yondu (Michael Rooker). 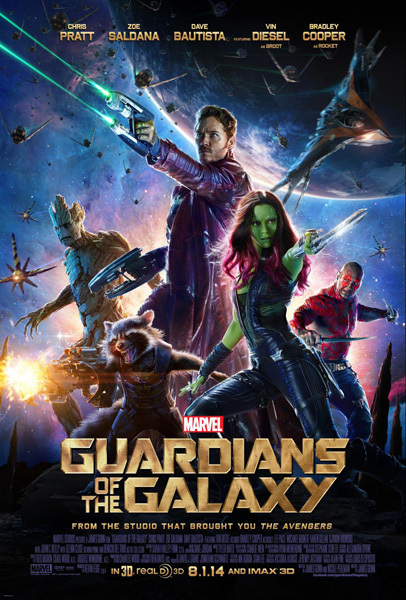 An intergalactic chase ensues where Gamora (Zoe Saldana) hunts Quill down, and along the way Rocket (Bradley Cooper) and Groot (Vin Diesel) get involved. They’re all arrested for fighting in public and sent to prison where they meet Drax the Destroyer (Dave Bautista). The group begrudgingly works together to save themselves, and the universe. It all explodes from there…literally. The Guardians: Every one of the Guardians is perfectly cast in their role. Chris Pratt is one of the main reasons we watch NBC’s Park & Rec every week, I was weary to see him in a lead role because he generally plays the part of the sidekick. I was quickly proven wrong – his humor and charisma are a perfect match for Peter Quill/Star Lord, and definitely lead worthy. Bradley Cooper kills it as the gritty fan-favorite Rocket, and Vin Diesel’s subtle Groot steals every scene he’s in with just 3 words. Zoe Saldana’s Gamora is tough, yet lovely, and Dave Bautista’s straight-forward Drax was a natural fit. Not to harp on THE AVENGERS here, but GUARDIANS OF THE GALAXY is definitely on par and holds it’s own, which is saying a lot. Even more impressive is that most of the audience doesn’t already have a connection to these characters like we did in THE AVENGERS, yet people are just as excited about them. There’s Humor AND Heart: Director James Gunn did a stellar job at blending comedy with a surprising amount of touching, heartfelt moments throughout the film. There were times you could barely hear the dialogue from the explosive laughter, and other quiet moments where there were some very clear sniffles from the audience (I’m glad I packed tissues). Make-Up & Visual Effects: As the viewer, you definitely have to suspend belief to jump into this world they’ve created, but they’ve done such a fantastic job with the visuals and the writing, that it isn’t difficult to do. From the aliens, to the planets, and the action scenes, it’s all beautifully done. IMAX 3D (by Sarah Woloski): I was able to see it in IMAX 3D, and I highly recommend shelling out the extra bucks. 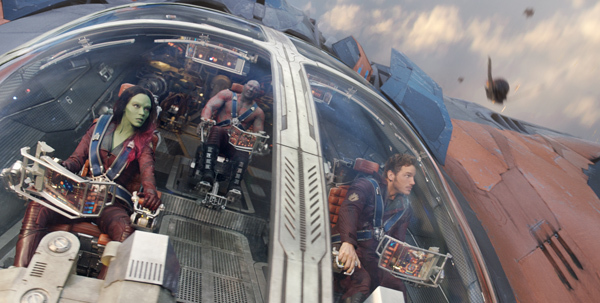 GUARDIANS OF THE GALAXY is a story on a galactic scale, visually and aurally. By seeing it in IMAX 3D you are pulled into the world, especially with all the establishing shots of the cosmos. There are climactic scenes that happen in space, and you almost feel like you can reach out and touch what’s floating in space before you. Quite a galactic experience. The Music (by Sarah Woloski): It was so refreshing to hear a sound score used well within the context of the movie. Not only did GUARDIANS OF THE GALAXY incorporate a film score by Tyler Bates, it used 70’s Rock and R&B within the context of the plot. Since this is a spoiler-free review, I can’t tell you how the music was integrated (because it happens to be a very integral part of the movie). What I can tell you is the rock songs chosen played supremely well with the action sequences, and set this movie apart from the existing Marvel films. Also, the music helped temper the other-worldly scenes and grounded them in our reality. Adult Themes: Okay, so this isn’t really a bad thing, but I’m grasping at straws here to find something for this category. This film seemed to have more adult humor (cursing, etc.) than any of the other Marvel films. Also, the bad guys and some of the aliens are pretty scary looking, so this is really just a heads up to those with little ones who may be excited to see this movie. The film is rated PG-13, and with good reason. So does GUARDIANS OF THE GALAXY live up to the hype it’s garnered over the last year? YES!!! While the story strays from the comic book’s canon, the way they’ve developed the characters puts all of that to the wayside. Both my husband (again, the comic book enthusiast) and myself (the comic book novice) absolutely loved the film. We talked about it the whole ride home, which is the sign of a good movie in our house. This is exactly what a summer movie should be, and it’s a great addition to the collective Marvel film universe. What’s even better is that there’s potential for them to intertwine the GUARDIANS with some of the other stories that are already out there. I can’t wait to see where they go next. Are you planning to see GUARDIANS OF THE GALAXY? Did you agree with our review? Share your thoughts in the comments below. 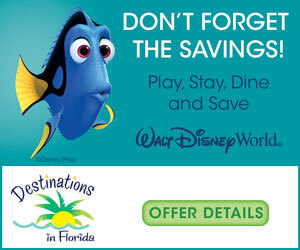 For more family movie news, be sure to follow Adventures by Daddy on twitter and “like” our facebook page too.